The Union Theatre's festive offering is Alan Ayckbourn's Seasons Greetings, a black comedy that bears occasional aspirations to farce. The world has moved on greatly since the play's 1980 premiere and what may once have passed for pointed hilarity is now awkwardly dated. With men that are predominantly shallow stereotypes, it is down to Ayckbourn's women and Michael Strassen's actresses to provide some dramatic meat for the audience to chew over. Abigail Rosser's vivaciously beautiful Belinda, sexually and emotionally ignored by her husband, fizzes with bitterness and lustful desire. 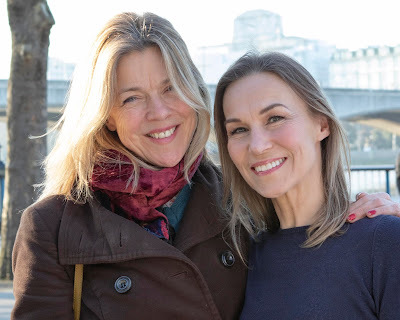 That she will passionately devour her plainer sister Rachel's boyfriend Clive is clear and the sibling angst that unfolds between these two women is one of the play's better explored themes. Pandora McCormick's Rachel, who has lived a sexless life spent in her more glamorous sister's shadow is a performance of assured sensitivity from a talented actress. 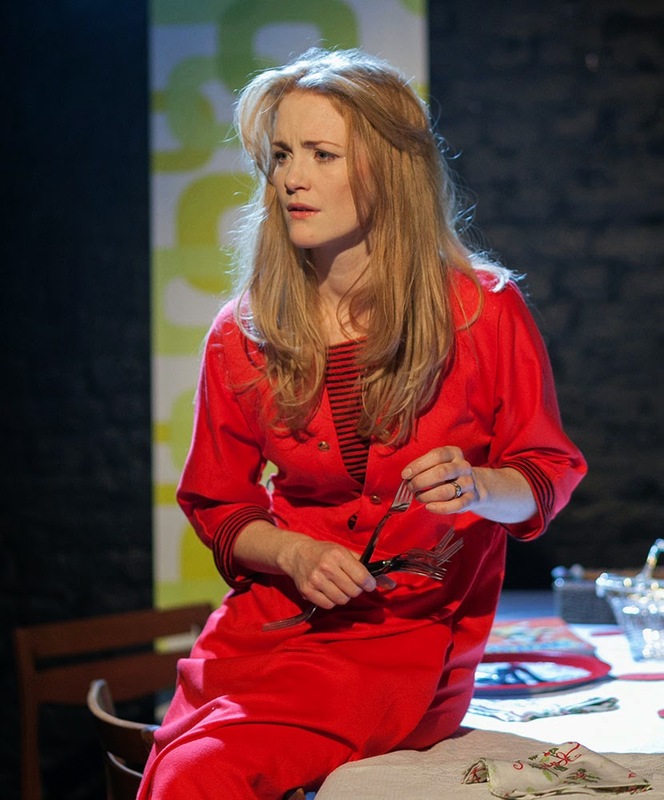 Clumsy in the kitchen and also lusting for Clive is Phyllis, maritally inadequate, on the verge of a nervous breakdown, but nonetheless very well acted by Marianne Adams. In contrast Gavin Kerr's Clive is a lacklustre cliché, whilst the other male characters of assorted husbands and dotty ageing uncle make a moderate fist of their poorly fleshed out parts. Matthew Carter's manically and tragically inept Bernard is perhaps the best of the boys. Seasons Greetings is a period piece harking back to an embarrassing era of cringe-worthy offence. The play hails from a time when references to suggested domestic violence or the grief of childlessness could be quickly glossed over by an audience eagerly awaiting their next laugh at either the farcical misunderstandings of a blundering old duffer or the puppet-show antics of a bumbling fool. Strassen directs well and the Union’s compact space has been cleverly moulded into a suburban downstairs. But whilst many of the family tensions shown are still relevant and recognisable, Ayckbourn’s crass construction is thankfully a ghost of Christmas past.